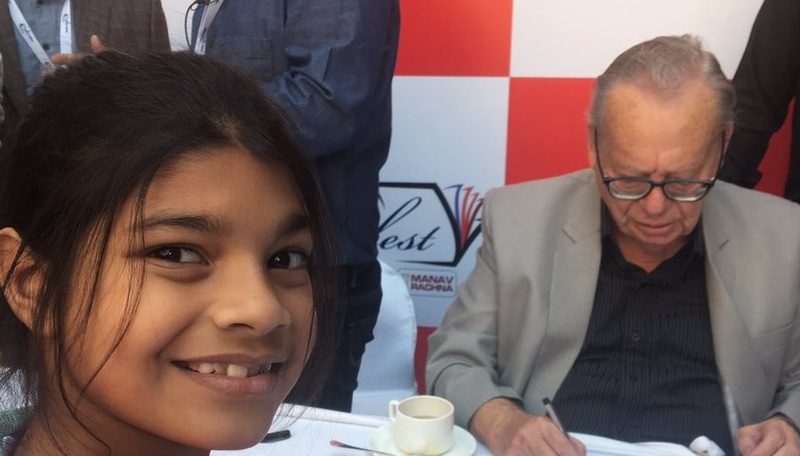 When I saw the expectant children listening with unwavering attention to octogenarian author, Ruskin Bond, speaking lucidly with the boyish glint in his eyes, I gather, what is that one thing which makes writing for children so fulfilling, yet so rare. When one listens the way he responds to the children, one understands the mind and heart which doesn't have a disparaging view of the consumers of his art. He bends down gently to listen, to embrace and find comfort in the company of these little people who will some day inherit this world. It was no surprise then that when asked his favorite childhood book, it was Alice in Wonderland. It takes one to know one. Most of the writers for kid's stories have either used kids as the props or wrote as a writer looking down at the kids. Those who wrote with due respect to the children as the readers and as people with a keen sense of awareness have been far and between. We can count on our fingers writers like Lewis Carroll, Roald Dahl, AA Milne, RK Narayan and now Ruskin Bond. It is coincidental as well as somewhat prophetic that Ruskin Bond gets the Lifetime Achievement Award by The Times Literature Festival in Delhi on this date, 26th of November, 2016, which marks 151st Anniversary of the first publication of iconic Alice in The Wonderland. In the writings of all these greats, we find that writing for kid is extremely difficult. Contrary to what a lot of sub-standard literature which passes off as children literature would make us believe, Children literature need not be lazy representation of stupid facts. It is rather a simplistic and elegant representation of complex facts of life. It needs a purpose to serve. The work of Charles Lutwidge Dodgson, who went with the nom de plume of Lewis Carroll stands testimony to this. Dodgson, a lecturer of Mathematics wrote one of the profoundest and quirkiest tale with immense honesty and great interest in what effect it would produce in his readers. While Dodgson was a mathematician, Ruskin Bond was poor in mathematics as he said today; what connects the two is the immense comfort that they show in company of kids. Whether it be wise advise of Bond to a child who asked about his best childhood friend, that one should be one's best friend, or the diary of Dodgson, mentioning specifically the days when he had the company of kids, it shows. He at one place refers to Alice, the little girl as one without whose infant patronage I might never have written at all. Dodgson wrote the story of Alice, a little girl set out on adventures with an eclectic set of amazing characters on her way, while on a trip on 4th July 1862, for Alice, one of the three daughters of the Dean of Christ Church, George Liddell as Alice's Adventure Underground. 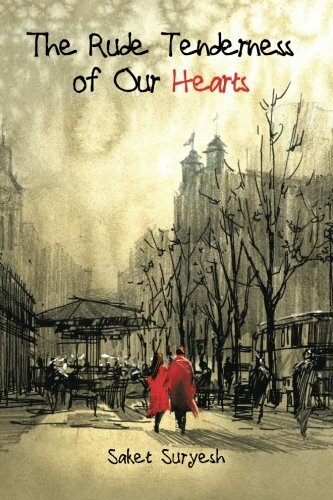 Persuaded by friends and with illustrations developed into a novel, it was published on 26th of November, 1865, 2000 copies in all. The book had a slow start but soon became a rage. The quirky genius of Lewis Carroll found an admirer even in Queen Victoria, who desired that Lewis Carroll dedicates his next book to her. True to his genius and naughtiness of the readers of his first book, Lewis Carroll wrote his second book and dedicated it to the Queen of England. Only catch, the book was called "An Elementary Treatise on Determinants"- A book of mathematical theorems (linear equations). Of late, Alice books have moved from kid's bookshelves to parent's bookshelves. Presumptuous people that we adults are, we presumed that these books will bewilder the kids, or that it is beyond their comprehension. It is more to do with our own busy, uni-dimensional lives with little time for anything and a laziness which has crept into modern life, in general, and modern intellectual life in particular. In an effort to escape the effort which kids undoubtedly will need to sail through these mesmerizing tales, we have taken these books away from them and given them books of rhyming notes with little message. Those books would do nothing to prepare them for the future, which these books certainly would. I have immense respect in Virginia Woolf as the final arbitrator on any matter literary, and totally agree when she wrote that the Alice books are not books for children. They are the only books in which we become children. Let us not deprive kids with such marvelous treasures on account of our poor judgement. Michael Irwin, Professor of English Literature at University of Kent at Canterbury made perfect sense when he wrote the following lines. It has become academically fashionable to claim that these are children's books no longer read by children. I cannot see why this should be the case, unless parents have lost their nerve. As adults, we hold the power. Let's not get unnerved. Let us open up the vistas of glorious literature to our children, let us help them be better prepared for the capricious character of life which awaits them. Let us write for them with respect and let us read to them with affection. I love this piece Saket. So true and compassionate. Thanks a lot, Marta. Your views always mean much.